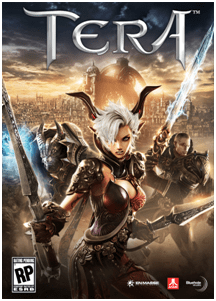 The new MMO TERA has been polarizing in the fact of its combat style, grind or no grind, Politics, and even the amount of skin it shows. However, I believe that it’s most polarizing aspect would have to be one of its races called the Elin. These animal ear and tail sporting ” little girls” appear very cute, and adorable, like you would want your daughter or grand-daughter to be, well, maybe minus the animal parts. The thing that makes them so polarizing though it their choice of clothing. FrogSter decided to clothe them in attire that would make most people blush, and some a little hot under to collar, were the clothes on an adult female. The players of the game have been going back and forth over the issue of whether this happens to be a usual product of Eastern market MMOs, or whether this is just bait to make Western market paedophiles want to play the game more. Because of this decision, it was decided to leave the Eastern game as is, while covering up the Western MMO Elin. Of course this has sparked anger, resentment, happiness, and every other emotion you can think of. Even the personalities of our own show have opinions. When asked about it, Galvion will get angry, saying they should not look like little girls wearing stripper clothing with wide, child-bearing hips. BloodEagle thinks that if you take the virtual character as it is, and play it for the artistic content, that it is not bad, but if you are looking at it in any sort of sexual way, you are a pervert, and Chaelura has stayed silent on the subject thus far. I did read somewhere that the consenting age in South Korea and Japan is 13, as opposed to the 16-18 range in the United States. Frogster sat down with Eurogamer [source] and explained why it did what it did in an interview. It is worth the read if you have feelings on the subject in any way. I am providing a video for you to look at, and we would love to hear your thoughts and comments on the subject. Do you believe that they are opening up the door for something wicked, or do you believe they did the right thing in censoring like they did. Link Dead Gaming is proud to bring you our very own Steam group! That’s right! You too, can now play games and chat with the hosts of Link Dead Gaming! The tech company following website Startup Grind confirmed with multiple sources that EA is planning on laying off 500 to 1,000 employees. They were originally slated to happen on April 9th, but were pushed back. EA has suffered this years with games like Battlefield 3 and Star Wars: The Old Republic, whose declining sales and subscriber base has perhaps led to this decision. Estimates put Battlefield 3 sales at 13 million units, but an estimated $30 million in advertising after the game launched caused them to suffer. Star Wars: The Old Republic is estimated to have a declining subscriber base after only selling 3 million units, of which only 1.7 million are still subscribed. Combined with the amount of marketing being done for that game, plus the less than warm reception to the new 1.2 patch, is perhaps causing EA to check their losses. There are a few other factors to consider. EA CEO John Riccitiello just marked his 5th year back at the helm, but the stock price that has moved from $61 to $16 a share may point to the end of his reign, again. Add to that rival Zynga has been gutting the top EA management, and it seems like a recipe for EA to make a major change. What is your take on the story? Looking for something cheap and good to play? GOG.com has you covered! The guys over at Good Old Games are having a Interplay Blast sale this weekend. 50% off many known titles. Also, you can buy the newly release Legend of Grimrock as well while you’re there!